Juniors Danielle Allen, Star Beasley, Giovanna Roberson, sophomore Maya Drayton and freshman Nylah Perry all played a role in setting three record-breaking times in the 4x100m relay, 4x200m relay and 4×400 relays and qualifying for nationals in all three events. Five Cherry Hill High School East girls track and field athletes used teamwork to make their mark in a predominantly individual sport. Juniors Danielle Allen, Star Beasley, Giavanna Roberson, sophomore Maya Drayton and freshman Nylah Perry had a record-breaking season on the track for the Cougars in 2017. The five athletes ran the 4x100m relay, 4x200m relay and 4×400 relay for most of the season, setting school record times and qualifying for the New Balance Nationals Outdoor meet in all three events. Congratulation to the 4×100 relay team-Danielle Allen, Nylah Perry, Giavanna Roberson and Maya Drayton! They placed 8th! #Meet of Champions! The five runners rotated into different positions in the relay lineup throughout the season. In the sectional, state and Meet of Champions competitions, Drayton, Perry, Allen and Roberson ran the 4x100m and 4x200m relays, while the 4x400m relay team consisted of Drayton, Perry, Allen and Beasley. Roberson, Allen and Beasley had run relay together last season and advanced to the Group IV state championship meet in the 4x100m relay. However, with Drayton and Perry joining the team this year, the relay teams’ times dropped considerably. Perry established herself as one of the top freshman sprinters in the state this spring. A former AAU Junior Olympian, Perry finished fourth in the 400m run at the NJSIAA Meet of Champions and 12th in the 200m dash. She was the top freshman in both events. The 2017 outdoor season was also Drayton’s first in high school. Drayton had participated in track prior to high school, but didn’t enjoy the sport and left it for a short time. This year, Drayton gave track and field another shot. Perry agreed, saying the upperclassmen made her feel welcome right from the beginning. Team camaraderie was just as important as pure speed for the relay teams. The teams worked together on everything from handoffs to form and strength. Drayton and Perry hadn’t known the three juniors prior to this year, but by the end of the season, the group was inseparable. “During practice, we kind of just bonded,” Drayton said. As the season progressed, the times kept going down for the Cougars in all three short distance relay events. Cherry Hill East finished in the top-10 of both the 4x100m relay and 4x400m relay at the Penn Relays in late April. A week later, at the Rowan University Open, Cherry Hill East blew away the competition in the 4x200m relay, winning by more than three seconds over second place Mainland Regional High School with a time of 1:43.35. “When we were watching the video (of the meet), I realized how much space we had between the other teams,” Allen said. “Once we were dropping times in the beginning, we just wanted to drop them more,” Drayton added. To qualify for the New Balance Nationals meet, athletes and relay teams must meet a minimum qualifying standard. 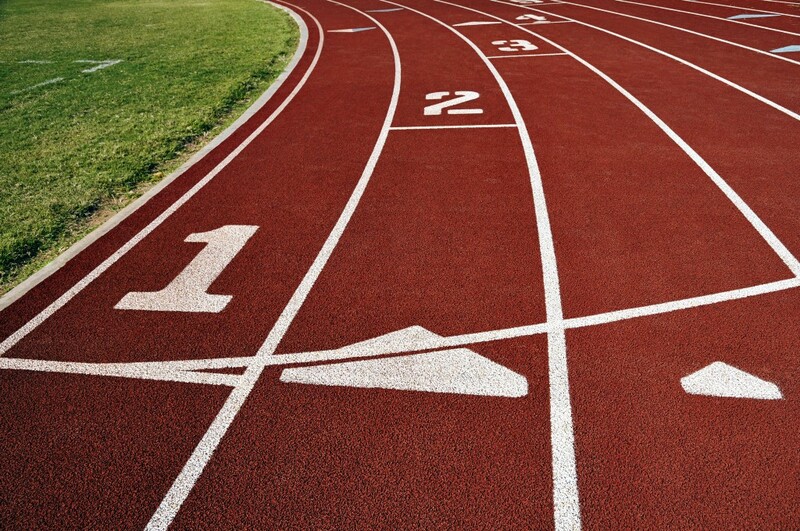 Cherry Hill East’s relay teams beat the New Balance marks in the 4x100m, 4x200m and 4x400m relays and were scheduled to race in the 4x200m and 4x400m events last weekend. As good as 2017 was for the relay teams, they all feel 2018 will be their year to make history. With all five athletes returning next year, they’re determined to top all of the accomplishments they made this season. “Since next year is our last year (together), we’re going to be the best that we can be,” Beasley added.